We were traveling for hours along bumpy, windy, slow moving roads and I looked back to check the kid out. This is what I saw. It made me laugh as I’m sure it made you laugh. Now, even though some of you are gasping right now because she unbuckled the top of her car seat harness, she apparently felt safer. Hahaha. These next few pictures are in response to people on Facebook who always post pictures of what they are eating and where the are eating and who they are eating with. All of which usually makes me cry. 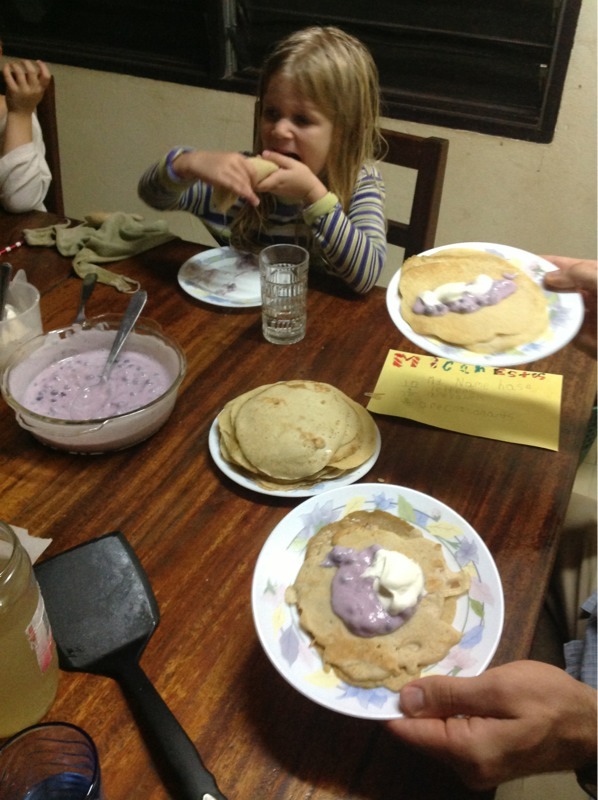 After you are overseas for a while you begin to miss certain foods and for me the blueberry has been greatly missed. Each day between 3-4pm on Facebook people begin posting pictures of their blueberry breakfasts. I cry. I happened upon a kilo of frozen blueberries at a grocery store in Yaounde. I cried, checked the price, cried again and my dear husband lovingly told me to toss them in the cart cause we are buying them. I cry again. 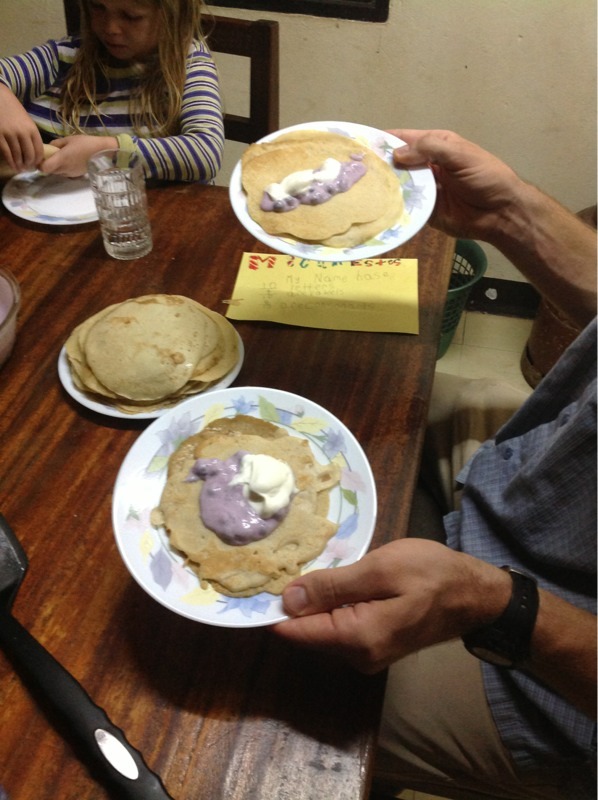 So, last night for dinner we ate crepes with blueberry and plain yogurt filling topped with whipped cream, hand whisked by Mark Spangler’s muscles. 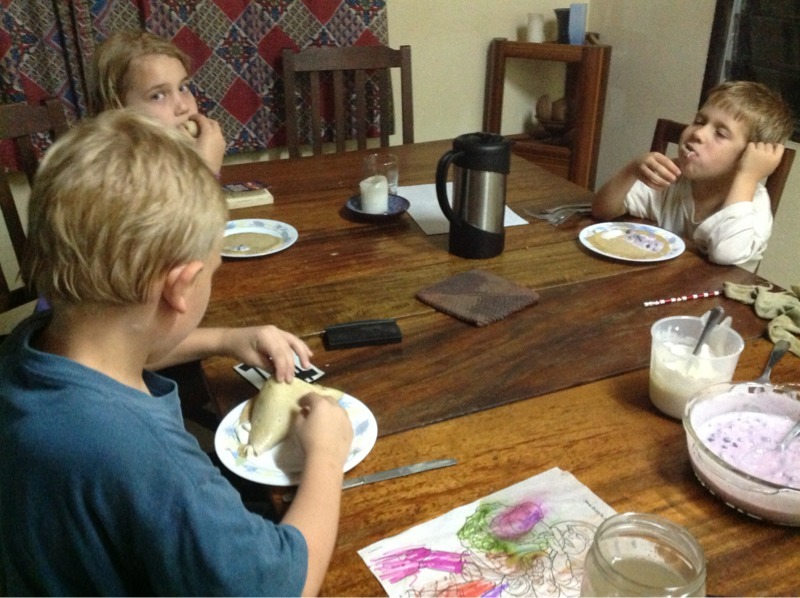 I was so happy that I took photos and told everyone how happy I was the entire dinner. Caleb shoved the entire crepe in his mouth in one fell swoop. Last but not least. There is just something romantic about sleeping under a mosquito net. 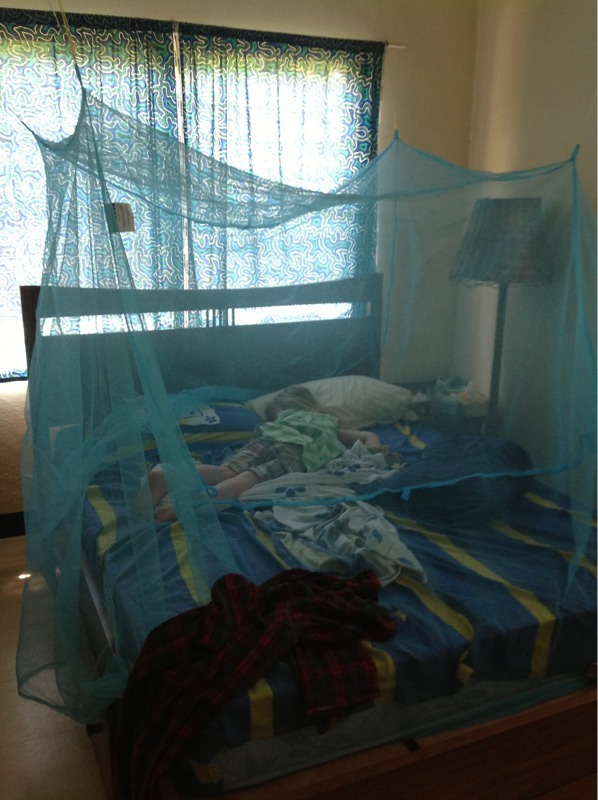 I know all you who have actually slept under a mosquito net would argue with me if you could actually comment on this blog. I however would like to live in a state of romance with these dust collectors.